Media outlets are finally starting to pay serious attention to eSports, covering it just as they would traditional pastimes like basketball and football. These days, eSports is fast becoming mainstream, with big networks like ESPN broadcasting such hot titles as “DotA 2” and “League of Legends” as they chase a potential audience that’s estimated to top 134 million worldwide. This is exactly what theScore’s eSports team does, providing live score updates, news and information about teams and players to fans through its app and website. Founded in Canada in 1994, theScore started as a television station that broadcast text-only sports scores and quickly became a 24-hour television sports network. In 2012 the digital media side was spun off, with the television network selling to Rogers Media for $167 million and rebranding as Sportsnet 360. Nor is theScore the only big media company to take an active interest in eSports coverage. ESPN -- whose staff have publicly dismissed eSports in the past -- is starting an editorial eSports team, announcing at the start of September that it is looking for an eSports editor. This is in addition to broadcasting eSports tournaments this year, from the “DotA 2” international championship on ESPN3 to the finals of the “Heroes of the Storm” collegiate competition on ESPN2. 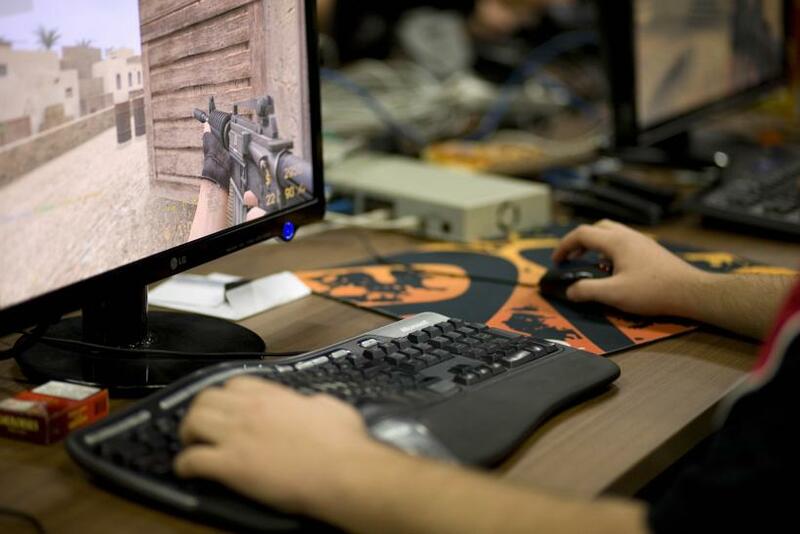 Just last week, Turner Broadcasting System partnered with WME|IMG to create an eSports league, which will be broadcast in two 10-week stints a year on TBS, starting with “Counter-Strike: Global Offensive” and possibly moving into other games in future years. Lenny Daniels, president of Turner Sports, said, “eSports is one of the fastest-growing entertainment genres among young adults around the world,” in the league announcement. “The level of rabid fandom and engagement that we see in this world is extraordinary, and we aim to up the experience for both players and fans alike,” added Kevin Reilly, president of TBS and TNT and chief creative officer for Turner, a subsidiary of Time Warner. For theScore's team, building the eSports app was fairly easy. They already had the infrastructure from the traditional sports app, which had an average of 10 million active monthly users as of April 14. All of this knowledge and a dedicated team were brought on board for the launch of the eSports website and Android app on Feb. 4, with the iOS app following on March 12. The jump from the standard sports app to an eSports-specific one was natural, theScore's president and chief operating officer, Benjamin Levy, told International Business Times. “It became apparent to us that fans are as passionate about ‘League of Legends’ and ‘Counter-Strike: Global Offensive’ as we are about other sports,” he said. “They want to follow the matches and players and get push alerts when they can’t watch it live. They want to read real-time news. The eSports team currently has an editorial staff (including feature writers and news editors) of about 30, as well as a data team that manually updates the game scores as they come in. Numbers on how many unique users the eSports platform has will be announced in either Q4 2015 or Q1 2016, but Levy said the network expects to see more women adopt the platform than the traditional sports app, as general industry demographics suggest that women are more interested in eSports.